There was an epic lunar eclipse/full moon/blood moon last weekend. 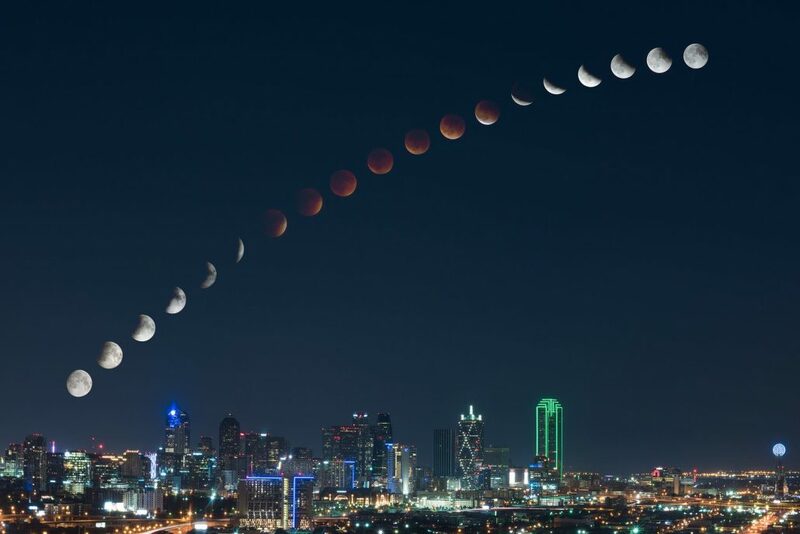 but thank you to Mike Mezeul II for sharing this picture of the recent blood moon lunar eclipse over the city of Dallas. He took the pictures about 10 minutes apart to make this composite photo. Dallas is where we’re headed in a few short weeks. So much to do… so little time.